During his stay in Arles, Vincent Van Gogh made a trip to Saintes-Maries, a small Mediterranean fishing village in the South of France. Taking a weeklong trip because of his health issues, Van Gogh made one painting of the village, two paintings of the seascape, and nine drawings. According to Van Gogh, Saintes-Maries wasn’t happy or sad, it was just beautiful and that is what the artist wanted to capture. The main reason why Van Gogh drew so much in during his trip was because he wanted to capture the varying light effects over the sea, which changed almost every minute. 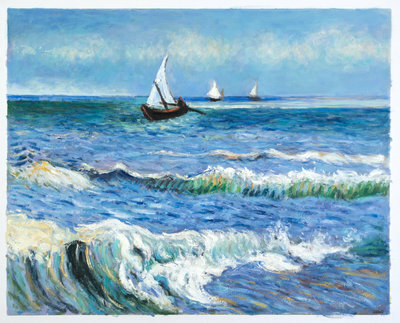 Van Gogh did two versions of the painting Seascape at Saintes-Maries. In a letter to his brother Theo, Van Gogh talked about how colours in the Mediterranean change. It wasn’t even blue, it was somewhere between green and violet. 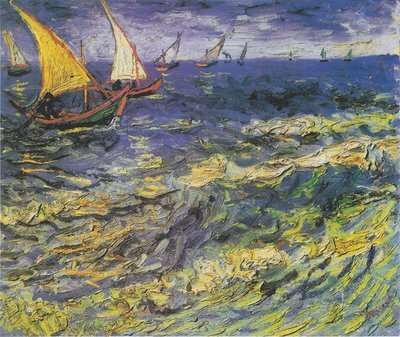 The other version of this painting has helped researchers at the Van Gogh Museum to understand Vincent’s paintings techniques. 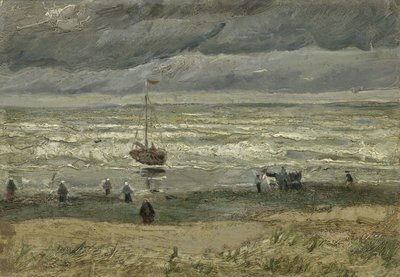 Since he was painting on a beach, some sand flew and stuck to the wet paint on the canvas, which was then moved around when Van Gogh applied another layer. Right before leaving from Saintes-Maries early in the morning, Van Gogh made drawings of fishing boats which were just on the coast. 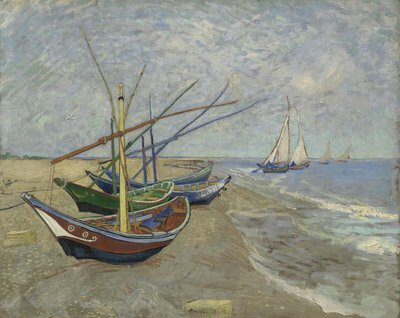 These drawings were later converted into the painting Fishing Boats on the Beach at Saintes-Maries. The drawing was done with a reed pen which added a fluidity to the whole picture and clearly showed Japanese art influence on Van Gogh. The reason why Van Gogh’s seascapes are so important is because they are so few, and they really show the true beauty of the Mediterranean Sea. Van Gogh Studio has been built and developed with one simple and clear motive – to provide an opportunity for everyone around the world to have their own piece of Van Gogh. Delivering to over 20 countries, the oil reproductions at Van Gogh Studio are mainly done by talented Dutch artists who have studied Van Gogh’s paintings for years. If you too want to own a Van Gogh, contact us today.